All animals require a balance of protein, fats and carbohydrates in their diet but different animals require different proportions. Humans are omnivorous creatures and we are able to digest carbohydrates as well as proteins and fats. Dogs, however, are carnivorous animals which means that their bodies are designed to digest and utilize nutrients from protein. This doesn’t mean, however, that your dog’s diet should be comprised entirely of protein. In fact, too much protein could be bad for your dog. Protein is especially important for growth and development – that is why puppy foods are often marketed for their high protein content. Additionally, protein is what your dog’s body burns for calories (energy) and it also helps to build and support their immune system. A dog requires 22 different amino acids (the chemicals that make up proteins) but their bodies can only synthesize 12 of them – the rest must come from their diet. Some of the essential amino acids that your dog needs include leucine, arginine, lysine, tryptophan and methionine. 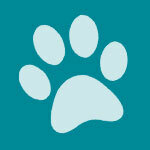 Your dog’s needs for protein will vary depending on his age and activity level. For example, a growing puppy needs a diet comprised of between 22 and 32% protein whereas an adult dog needs only 15 to 30%. Female dogs that are pregnant or lactating have higher needs for protein than the average adult dog, as do dogs that participate in agility competition or racing. It is important to realize that your dog’s body can only use so much protein – anything extra will be excreted through urine or stored in the body as fat. If your dog has kidney problems, however, too much protein could actually be dangerous. Too much protein in the diet could also result in weight gain which could lead to obesity and other health complications. 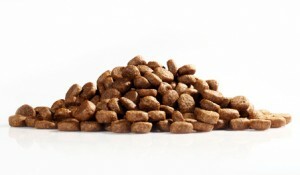 When shopping for dog food there are many different factors to consider. In regard to the protein content of certain dog foods, you do not want to shop just by percentage – you also need to think about the sources of protein used in the formula. All commercial dog foods come with a label that states the minimum level of “crude protein”. Use this percentage as a reference, but don’t forget to check the source of the protein – even a food with a lower protein percentage might be better than a food with a higher percentage if the protein comes from a higher quality source like real chicken or lamb. Remember, your dog’s food is his primary source of nutrition so you need to make sure it provides for all of his basic nutritional needs. Look for a dog food that provides a minimum of 15% protein – closer to 30% for puppies as well as pregnant and lactating females. The quality of the food you offer your dog will have a significant impact on his overall health and wellness, so don’t cut corners! I am trying to find the best alternative to feeding my dog who is almost 13 years old just diagnosed with Cushing’s disease. Do you have any suggestions?